Spirulina is a micro-algae rich in beta carotene to overcome eye problems caused by Vitamin A deficiency and the most digestible protein food with B-vitamin complex, a major nutritional improvement in infants diets. Spirulina is the only food source, except mother's milk, containing substantial amounts of an essential fatty acid, GLA, which helps regulate the entire hormone system. 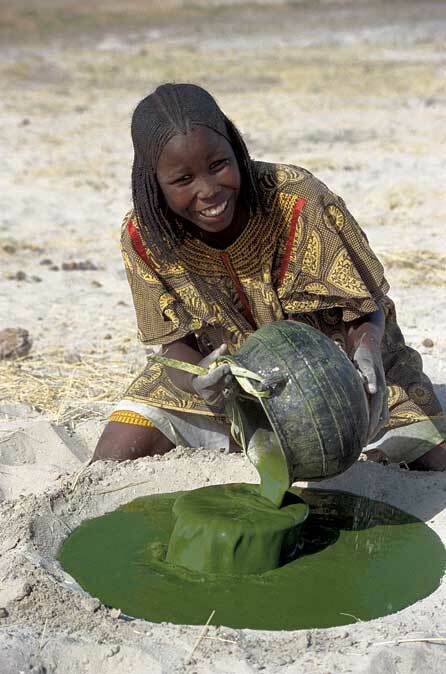 Overall, Spirulina is an excellent food for the rapid recovery of children from malnutrition related diseases in Togo, Rwanda, Zaire, and other developing countries.